DJI blew people away with an action packed launch for their new iteration of the Inspire range. Filming a movie-quality scene exclusively with the new quadcopter live, in front of attendees, they were able to showcase the power of the Inspire 2 as a professional filmmaking tool. Now that the dust has settled, it’s time to take a look at this new addition to their ‘workhorse’ range and how it compares to previous models. 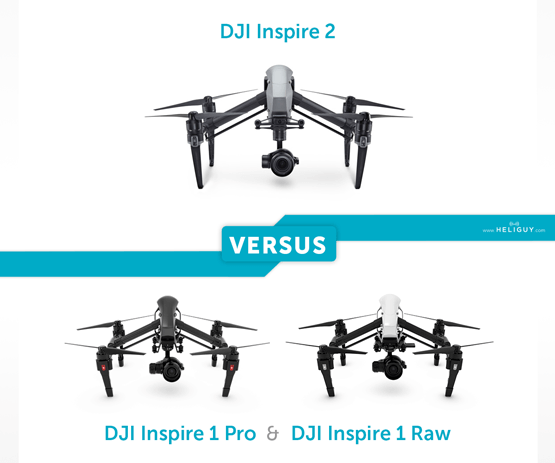 The popularity of the Inspire range made the announcement of an Inspire 2 all but inevitable. Having offered the V2.0, PRO and RAW versions – the next logical step was to collate everything they had learned from the process (as well as taking on board feedback from professionals) to produce the ultimate Inspire. Have they been successful? This comparison seeks to answer that question. This rundown will focus on six key features: what’s included, appearance, performance, camera specs, additional peripherals and battery life. Let’s start by looking at what’s included with each of the available top tier Inspire models out of the box to see which most suits your needs. Note: These lists cover what comes with the standard package and don’t take into account the various offers and bundles currently available. As you can see from reviewing these models alongside each other, the RAW comes with the most gear straight out of the box. 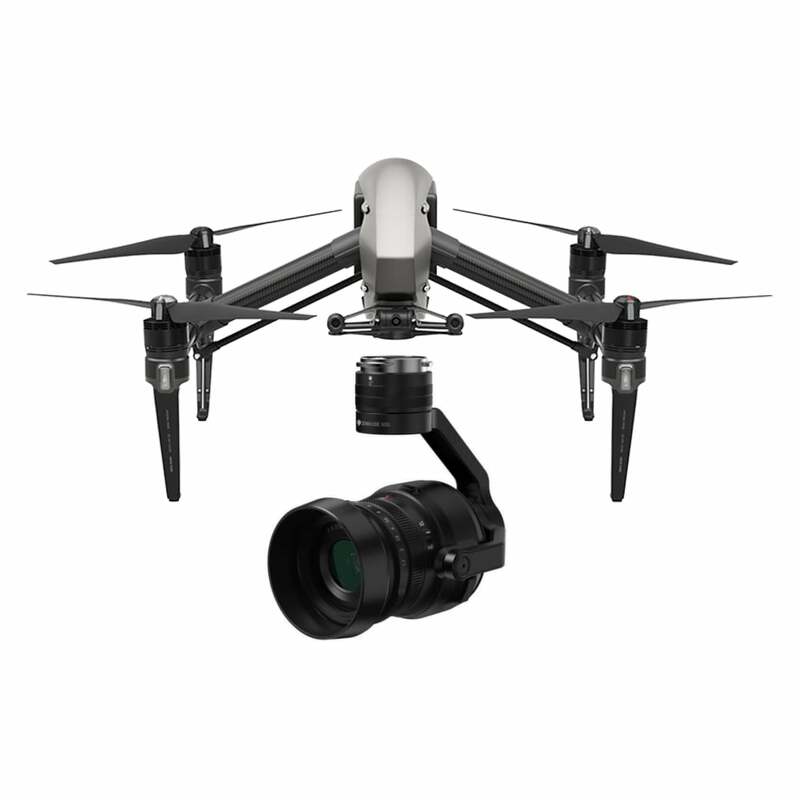 With a dual remote set-up to allow for more control over in-flight footage capture and the highly powerful X5R camera, this model is aimed squarely at professionals. The other two models aren’t short of kit, however, with the PRO packing a Zenmuse X5 gimbal, and the new Inspire 2 bringing with it two new camera solutions in the form of the hugely powerful X4S and X5S which are set to revolutionise aerial filmmaking. All members of the Inspire range covered in this rundown also come with carrying cases and camera boxes to protect your valuable gear while you’re on the move. 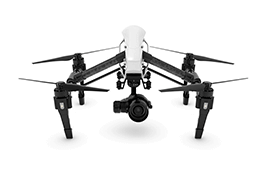 The DJI Inspire 1 is a sturdy, great-looking bit of kit designed to last. The aircraft is constructed from a mixture of carbon fibre and hard-wearing plastics. One thing to bear in mind when purchasing is that this is a sizeable drone measuring in at 11.9×17.2×17.8” and with a weight of 6.5lbs (excluding peripherals and variable depending on camera setup). The PRO comes fitted with the X5 while the RAW features the X5R. Aside from the differences in sensor compatibility, the aesthetic of all three is the same. While the Inspire’s default design is a white shell over black carbon fibre components, you are also able to purchase a ‘Black Edition’ of the PRO which looks fantastic with its sleek matte finish. These cameras (plus the Inspire 2’s X4S & X5S models) have the ability to turn 360° aided by the Inspire’s unique design, incorporating retractable landing gear, which is both practical and looks great in motion. As you take off the landing gear lifts up, ensuring the propellers are shifted out of the camera’s FOV. This function can also be controlled manually via the remote controller. Then there’s the controller, which in its outward appearance is almost identical those for DJI’s Phantom quadcopter range, however, there is the addition of a sharp grey colouring and a toggle switch for the Inspire 1’s landing gear. Finally, we reach the newcomer, DJI’s Inspire 2. Retaining the transformable design of the Inspire 1 range, DJI has opted for a metallic finish reminiscent of the recently released Mavic Pro. This aesthetic has been achieved through the use of a magnesium-aluminium alloy to create the shell and sturdy carbon fiber arms. There’s a distinct feeling that they were aware that the design was nailed with the first generation of Inspires so it’s good to see they haven’t needlessly tacked anything on. Every Inspire 1 model comes ready-to-fly (RTF) straight out of the box. This means a pre-bound remote controller is included and that no tricky assembly is required. Setting up the Inspire 1 PRO and RAW for flight is simple, the propellers attach via a simple ‘press down and twist’ motion to lock them into place. When you power up the Inspire 1 outdoors it requires around 60 seconds to achieve a GPS lock. While you are able to fly without GPS using the Inspire 1’s Vision Positioning System, sensors which allow the craft to visually track obstacles, we only recommend this when flying indoors. All three versions of the Inspire 1 are a joy to fly. They’re remarkably steady, simple to get to grips with and capable of high speeds when required (DJI claims a max speed of 50mph). Thankfully, landing is just as easy as take-off. You simply need to reduce the drone’s altitude until it reaches an acceptable height and activate the autonomous landing process. You can stand back and watch as the gear lowers, the Inspire 1 descends to the ground, and the motors power down. Note: The Inspire 1 will automatically enter its landing sequence when the battery life drops to 10%. All of the set-up steps are made easy with the PRO, RAW and Inspire 2’s collaboration with the DJI GO apps (the Inspire 2 requires the more recent GO 4 app). The easy-to-follow steps ensure that everything from positioning to compass calibration is a simple, rapid process. The Inspire 2 features all of this functionality plus a whole lot more. It now has the ability to avoid obstacles both front-facing and upwards which lends itself to interior shoots and adds to the already solid visual positioning system allowing for a truly intelligent flight experience. 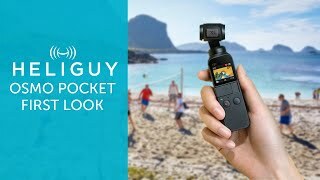 There’s also the addition of DJI’s TapFly, ActiveTrack and Sport modes as well as Smart Return to Home providing lots of options for autonomy while you focus on filming or image capture. You can access all of this functionality by attaching your tablet or smartphone to the Inspire 1 (or Inspire 2) remote controller. This allows you to see what your drone is currently viewing from its camera along with vital flight stats. Multiple controllers may also be used in tandem to allow one operator full control over the flight while the other controls the camera, which will be discussed further in Section 5: Camera Specs. The two Inspire 1 models should provide you with a flight time of up to 21mins (except perhaps the RAW as the extra weight of the X5R may keep it closer to the 18min mark). It’s also important to note that you must ensure all batteries, flight and remote controller, are at full charge before taking your Inspire 1 out for a flight. On all Inspire 1 models, you’ll see four LEDs on top of their battery packs which allows you to quickly identify the power levels and check whether you’re ready to take off. There are currently two different ‘Intelligent Flight Batteries’ available. 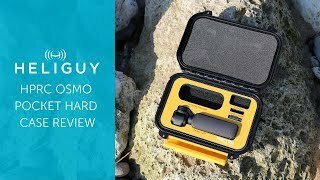 The standard size you’ll encounter is the 4500mAh unit which allows up to 18mins of flight time, enough to capture some great aerial footage. However, the larger 5700mAh battery can offer up to 22mins of flight time, which might just tip the balance and let you snag a breath-taking last minute still. The Inspire 2 has added dual battery redundancy to its bag of tricks, increasing reliability and safety in the air. These new custom designed TB50 batteries (x2 per Inspire 2 aircraft purchase) are 4280mAh units which have a built-in 70W self-heating system capable of heating itself to 41°F (5°C) every minute. This ensures that you’re able to film in more challenging climates without worrying about adverse reactions to cold. The Inspire 1 PRO comes with the Zenmuse X5, an integrated MFT aerial gimbal featuring a 16MP sensor which can capture UHD & 4K videos. It also has a 15mm f/1.7 DJI-branded prime lens as standard, but this can be replaced with a number of compatible lenses including the Panasonic Lumix 15mm and the Olympus M.Zuiko Digital 12mm. The X5 also supports on-the-fly autofocusing which is a huge plus for aerial filmmakers and photographers. Note: The lens hood for the MFT should be left on the X5 to preserve its ideal weight and balance, as well as ensuring the best image and footage quality. 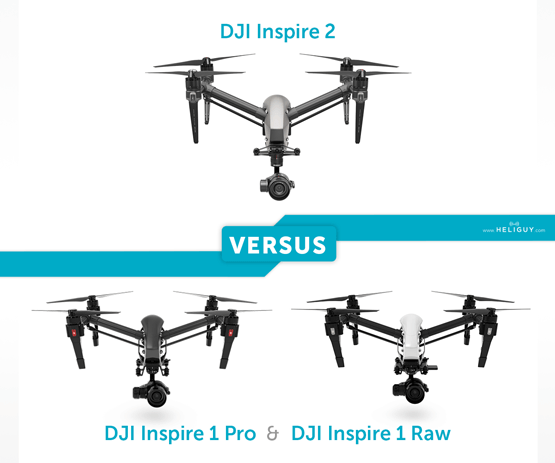 Next, we come to the Inspire 1 RAW which comes with DJI’s upgrade to the X5, adding the ability to capture amazing 16MP stills in Adobe DNG RAW (compared to the X3’s 12.4MP) to preserve all image data. The quality doesn’t stop there, as with the X5R, you can record lossless RAW 4K at 1.6Gbps. 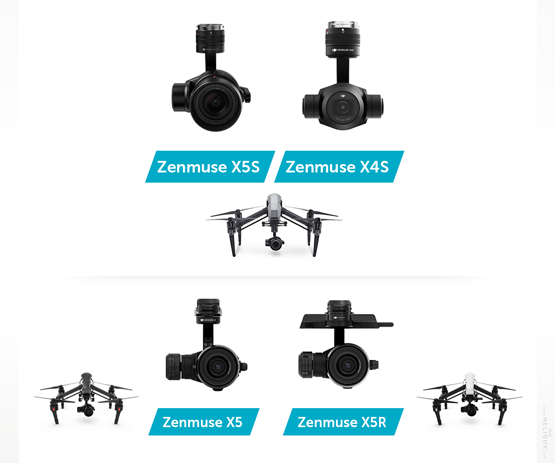 These specs are even more impressive when you take into account that both the Zenmuse X5 and X5R are two of the smallest MFT sensors in production and the only example of these cameras specifically designed for aerial image capture. The X5R is also the first of its kind able to shoot 4K RAW video, lending itself as a highly useful tool to aerial filmmakers. 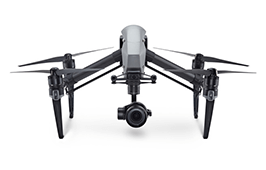 Last and definitely not least is the Inspire 2 with its two new cameras the X4S and X5S. 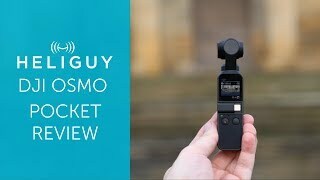 The former features a 20MP 1-inch sensor and a maximum ISO of 12,800 and uses a DJI-designed compact lens with a low dispersion and distortion 24mm equivalent prime lens with an 84° FOV. The latter is equipped with an upgraded Micro 4/3 sensor, the Zenmuse X5S has a dynamic range of 12.8 stops and supports up to eight standard M4/3 lenses with focal lengths which range from 9mm-45mm. This high-quality camera functionality has been welcomed by aerial videography professionals such as Nottingham-based DGTL Concepts. With the X5S you have full access to the new CineCore 2.0 image processing system on the Inspire 2 making it capable of capturing 5.2K 30fps CinemaDNG and Apple ProRes video as well as 4K 60fps using H.264 and 4K 30fps using H.265 (both at 100Mbps). Note: To access the CinemaDNG and Apple ProRes functionality, additional licenses are required. It’s also worth mentioning that, with any of the three Inspire models covered in this article, you can choose to tether two different remote controllers for greater recording accuracy. In this two-person mode, one user acts as the pilot whilst the other controls the camera functionality. Now that we’ve covered what you can expect from DJI’s Inspire 2, here are the answers to the most frequently asked questions about this exceptional aircraft. 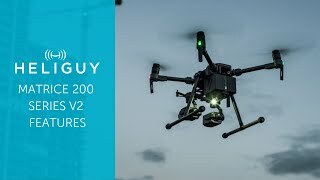 What is the Inspire 2’s max flight speed? What is the Inspire 2’s max flight time? 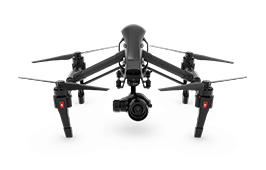 What cameras and gimbals are compatible with the Inspire 2? It certainly does. 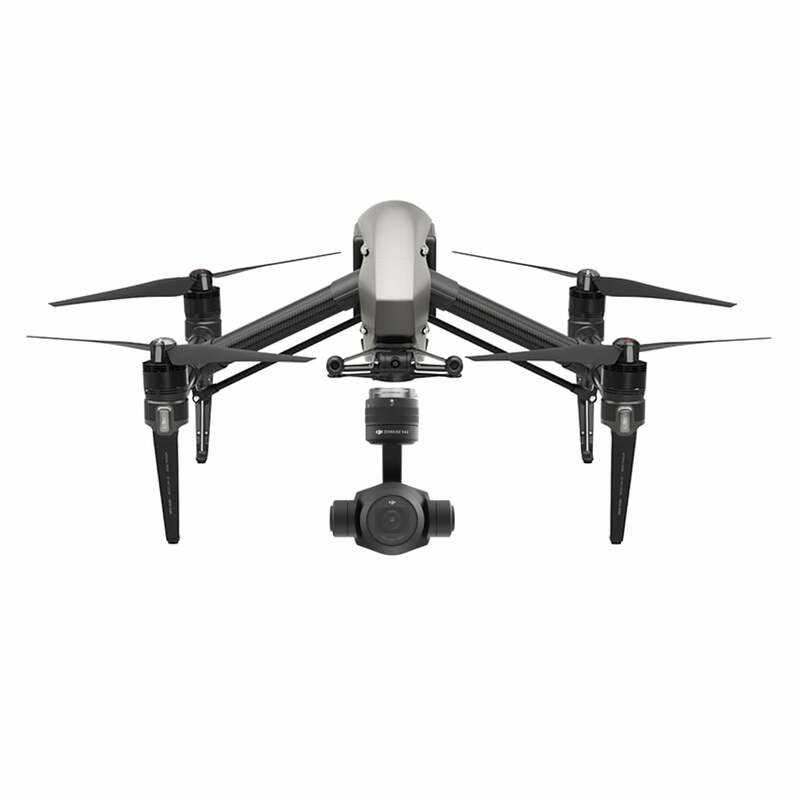 The Inspire 2 features a Forward Vision System capable of detecting obstacles up to 30m ahead, whilst upward facing infrared sensors can sense obstacles at 5m. 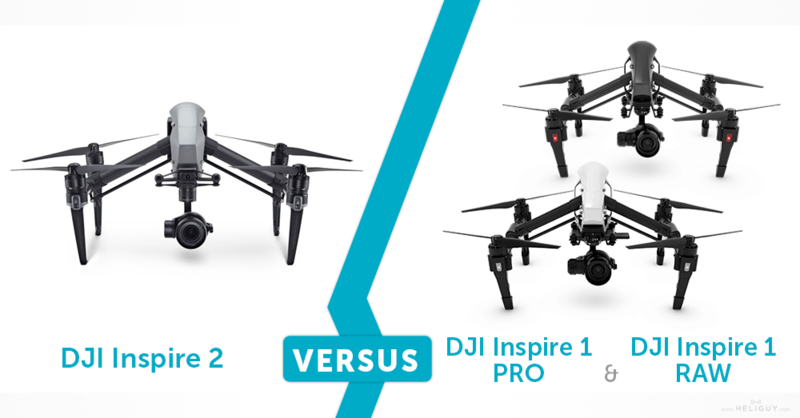 Is the Inspire 1 remote compatible with the Inspire 2? No, an Inspire 2 remote controller is required. Is there support for Master and Slave remote controllers? 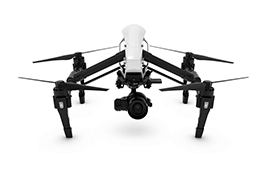 As with the Inspire 1 range, the Inspire 2 supports M/S controllers. The max distance between the M/S controllers for effective use is 100m, with both controllers receiving the same HD live view. Does the Inspire 2 come with an SD card? 42.7cm x 31.7cm x 42.5cm without propellers. Has the Inspire 2’s propulsion system been upgraded? It has. The Inspire 2 uses 3512 motors and 1550T propellers, each rotor has a max thrust of up to 2kg. 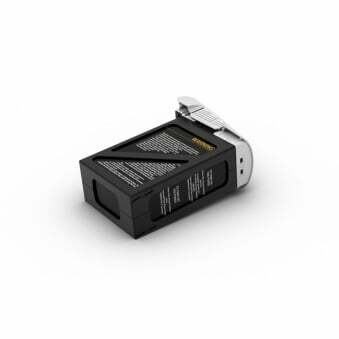 Can I carry the Inspire 2 Intelligent Flight Battery onto a commercial aeroplane? The Inspire 2 Intelligent Flight Battery has a capacity 97.5Wh and most airlines allow batteries below 100Wh in carry-on luggage. However, regulations tend to vary across airlines and regions so contact the airline or relevant regulatory body before travelling. How long does it take to charge a remote controller and how long does it last on a full charge? The remote controller is equipped with a 6,000mAh LiPo 2S battery which takes approx 3 hours to fully charge. Once it’s powered up, it can be used for approx 4 hours. The mount can support an iPad Air or other similarly-sized tablets up to 170mm tall. The M/S remote controllers can maintain a connection at distances up to 100m. 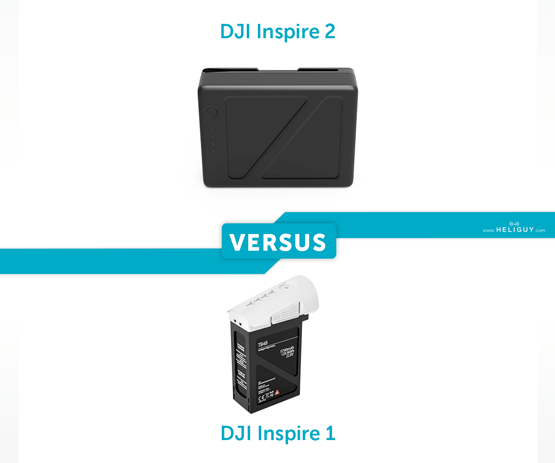 How long does it take fully charge the Inspire 2’s batteries? When connecting the standard Battery Charger to the Battery Charging Hub, it takes about 90mins to charge 2 batteries and 180mins to charge 4 batteries. The Inspire 2 can take off if the power discrepancy of the two batteries is within 13%. If it is unable to take off due to a power discrepancy, the DJI GO 4 app will notify you. The Inspire 2 continuously checks battery status and will notify you via the DJI GO 4 app if a battery malfunctions. If this occurs, we strongly recommend that you land the aircraft immediately. 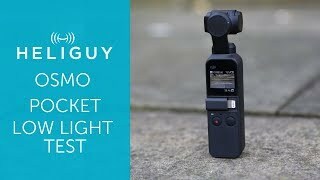 Can I use Adobe CinemaDNG and Apple ProRes straight away after purchasing the Zenmuse X5S? Does the Zenmuse X4S support the Adobe CinemaDNG and Apple ProRes? If you press and hold the C2 button, and at the same time use the left dial, you can control the FPV pitch. The roll axis isn’t controllable. Is an SSD (Solid State Drive) included in the box with the Inspire 2? Does the Inspire 2 have the RTH (Return to Home) function? Yes. During RTH, the Inspire 2 is able to collect information about the environment and automatically plan the best path back home. Being able to detect obstacles 200m away, it also restores communication faster with the remote controller during RTH after losing signal. Keep checking back to Heliguy’s Insider blog for more in-depth information about our product range and, of course, the latest news from the drone industry.